The entire month of October is Breast Cancer Awareness Month, and several great companies are donating a portion of their proceeds to help raise awareness and find a cure for breast cancer. Here are some eco-friendly items that will enable you to ‘think pink’ while also shopping ‘green’ for your kids and loved ones. 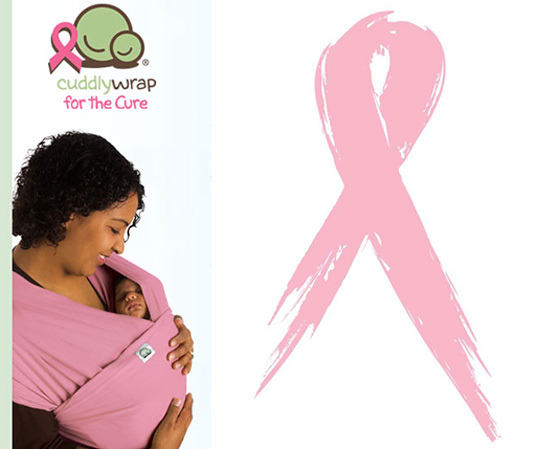 PeaPod Creations supports breast cancer research with Cuddly Wrap for the Cure. 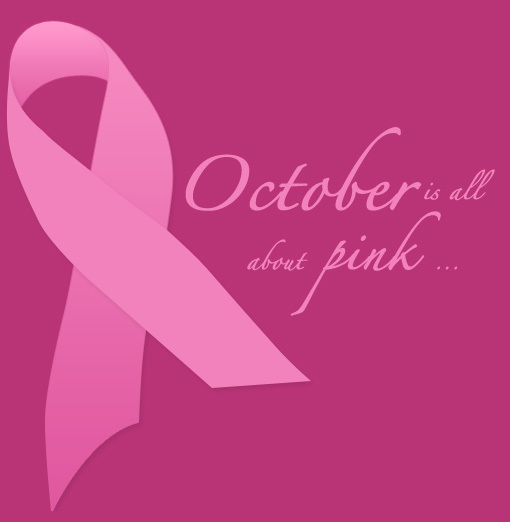 For each pink Cuddly Wrap purchased in Canada, a direct donation is made to the Canadian Breast Cancer Foundation. Your baby is sure to love cuddling up with you, and vice versa, in this 100% organic cotton, Fair Trade wrap which promotes bonding and security. 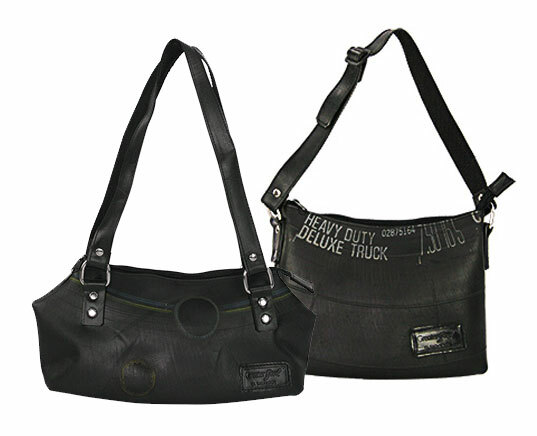 Support breast cancer research, keep tires out of landfill AND look chic while doing it, all with Greater Good Recycled Tire Tube Handbags. Greater Good makes these beautifully smart and sustainably stylish handbag from the recycled inner tubes of vehicle tires. The ‘Ada’ design is purse size, while the ‘Adela’ is larger and more of a ‘messenger bag’ style – the perfect size to function as an eco-chic diaper bag. During the month of October, Hatley Nature donates a generous 20% of all their online sales to the John Wayne Cancer Institute breast center at St. John’s Health Center in California. Hatley supports many causes throughout the global community, and their business practices promote environmental welfare. 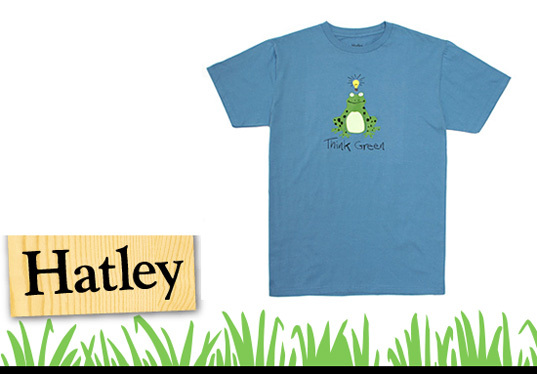 Moms and dads, leap at the chance to fund breast cancer research by purchasing their “Think Green” organic cotton T-shirt, which depicts a wise green frog who playfully reminds your children about the importance of eco-living. Nature’s Baby Organics are the creme de la creme of children’s bath products. Their all natural ingredients are free of harmful toxins and chemicals, so baby will be treated to the purest suds, and bubbles going down the drain won’t damage the earth. The scent of their Vanilla-Tangerine Shampoo and Body Wash will make your little one smell like an irresistibly kissable creamsicle. Nature’s Baby Organics always donates a percentage of their sales to finding a cure for breast cancer, so you can support the cause year round while indulging in their products. Giggle’s “Think Pink” Fleece Blanket is good green design in every sense of the word. 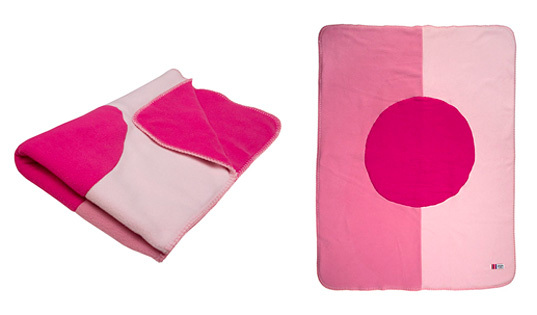 Stylish, sustainable and socially conscious, this charming pink blanket is designed to raise awareness about breast cancer, made from 100% recycled soda pop bottles, and 10% of sales proceeds are donated to the Young Survival Coalition (YSC). Shop at The Breast Cancer Site, and enable women in need to get free mammograms to promote the early detection of breast cancer. 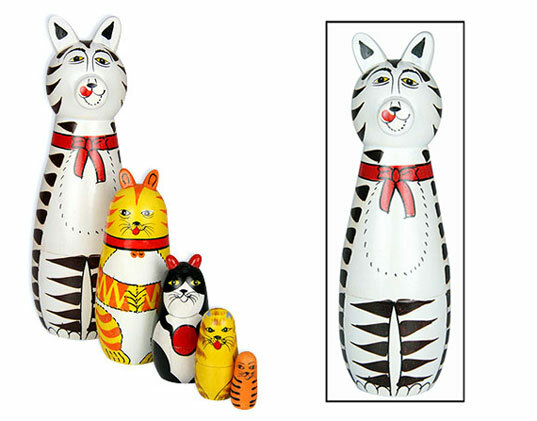 These Fair Trade Indian Nesting Cat Dolls are handmade in India of Ankudu wood native to South India. They are 100% lead free and painted with non-toxic vegetable dyes. Children love opening nesting dolls to find surprise after surprise in charming diminutive packages. Do a doubly good thing by shopping responsibly to preserve the planet and purchasing from environmentally and socially responsible companies who pay it forward to help alleviate breast cancer. The entire month of October is Breast Cancer Awareness Month, and several great companies are donating a portion of their proceeds to help raise awareness and find a cure for breast cancer. Here are some eco-friendly items that will enable you to 'think pink' while also shopping 'green' for your kids and loved ones.